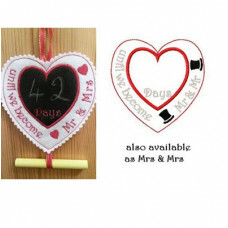 Buy both the Wedding Set A and Set B together and receive a 33% discount (See related product below)..
Buy both the Wedding Set A and Set B together and receive a 33% discount (See related product below..
Made in the 4 x 4 hoop – can be left flat or stuffed through the little gap in the side and then th..
Use these little button stick people and pets to embellish your family pictures etc. 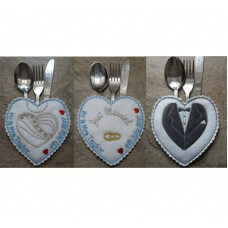 make them for ..
Just a little something for your Wedding guests. 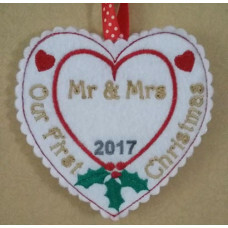 Tissue holders - 5 x 7 hoop required. 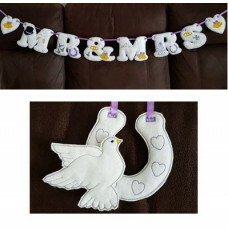 2..
MR & MRS - 5 x 7 stuffed letters and 15 embellishments to make your Wedding bannersThese ..
Countdown chart for the Big Day – 4 x 4 hoop required – includes Mr & Mrs – Mrs & Mrs ..
Bride, groom and just married, these cutlery pockets will make a lovely addition to your Wedding ta.. 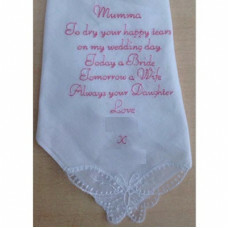 These little verses are especially created to make a memory and keepsake for your Wedding Day10 ver.. 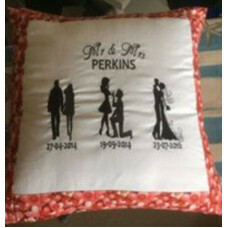 Remember the dates - Wedding Day cushion, or anniversary - the set consists of the 3 silhouet..